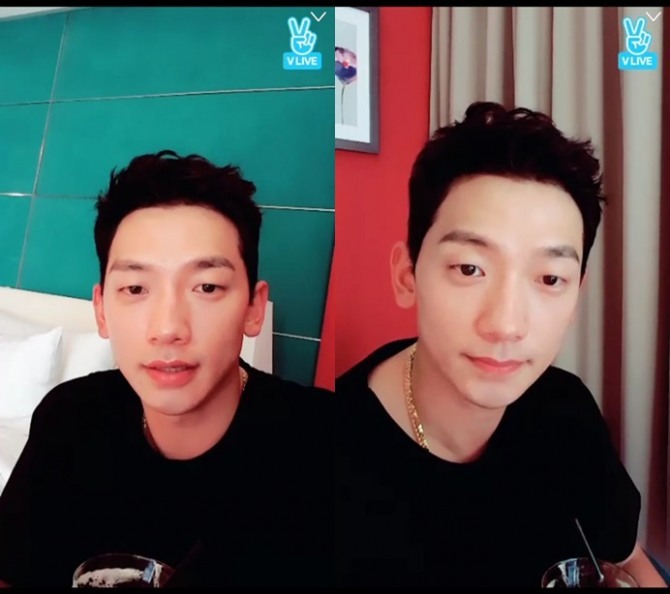 Rain appeared on the V app for a live show titled “Break-Up-Today Talk,” broadcasting from Malaysia where he was to perform a concert. Rain duets with Jo Hyuna of Urban Zakapa for the song. “I was always a fan of Urban Zakapa, I have been wanting to collaborate with the singer Jo Hyuna for some time. She wrote the song, and although we wrote the lyrics together, it’s strongly imbued with her colors. Rain went on to explain the five songs included in his mini-album. One is a hip-hop piece, and another he described as a good piece for a freshly broken-up man to sing at a karaoke. “I have many plans to appear on TV programs,” Rain said. The veteran singer will collaborate with budding idols on “The Unit” TV on Friday. He will also hold a show to mark his return on Dec. 2 on KBS. Rain will take the opportunity to also sing the hits that made him popular. IU shared the behind-the-scenes footage of her concerts in Busan and Gwangju via the V app Friday. For IU’s “Heart,” fans sang the lyrics back to IU in unison, bringing the singer much joy. During the heated concert, IU came down from stage to high-five fans. She sang more than 30 songs in Gwangju. The 24-year-old will hold her next concerts in Hong Kong, Cheongju and Seoul. BTS released the official music video for “MIC Drop (Steve Aoki Remix),” via the V app Friday. “MIC Drop” is a hip-hop tune with strong drums. It was originally part of the album “Love Yourself Seung Her.” Parts of the song were remade in English in the Steve Aoki mix. American rapper Desiigner also participated. BTS became the first K-pop group to perform at the American Music Awards on Sunday.